Property related legal matters needs special attention and proper guidance to ensure that they are efficiently resolved in due time. At Shree Bikaner Property, we are offering Property Legal Advising Services according to the different legal requirement of the clients. Based in Bikaner, Rajasthan, we are counted among one of the leading real estate companies well known for offering reliable and prompt Property Legal Advising Services specializing in providing Property Documentation Services, Property Law Services and Property Litigation Services. 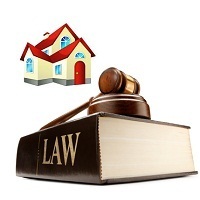 Our experts can effectively understand the exact need and requirement of the clients and accordingly provide effective solution and all the required information and guidance to resolve the property legal matters efficiently.